In this example will show how to use a Capture link in a filter application. 1. Create one new application Form using the customers table. 2. Create one new application Grid using the SQL below. 4. 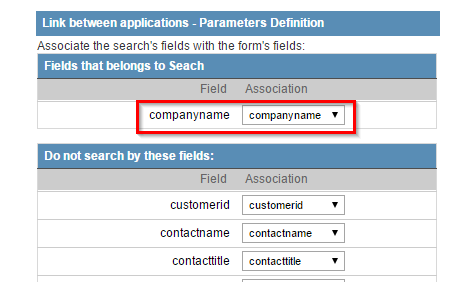 Create one new application Search using the Customers table. 5. 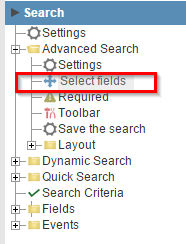 Access the filter folder and click the “Advanced Filter >> Select Fields”. 6. Select the companyname field. 7. Access Connections folder and click on the “New Link”. 8. 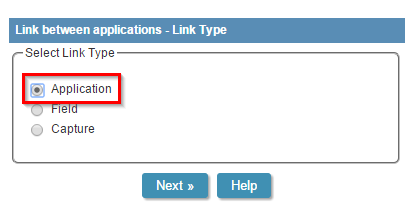 Select the Link type “Capture” and the companyname field. 9. When you get the list, select the application of Grid created at the beginning and go until the end of the connection wizard. 10. Create a new connection, but this time select the “Application” type. 11. 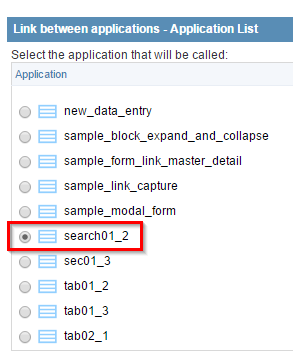 Select the form application created at the beginning of the tutorial. 12. Make the association between the search fields and the form fields and save the link. 13. Click the Run button on the toolbar.